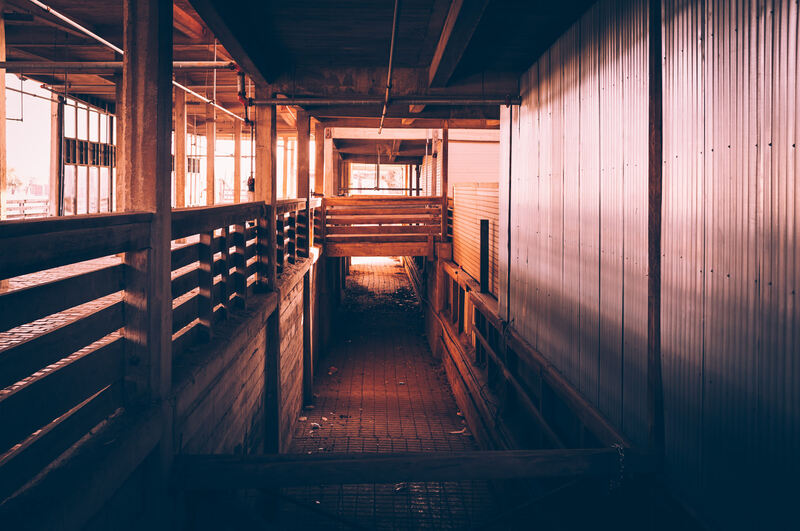 Cattle pens and chutes inside the historic Stockyards Station at the Fort Worth Stockyards, Texas. 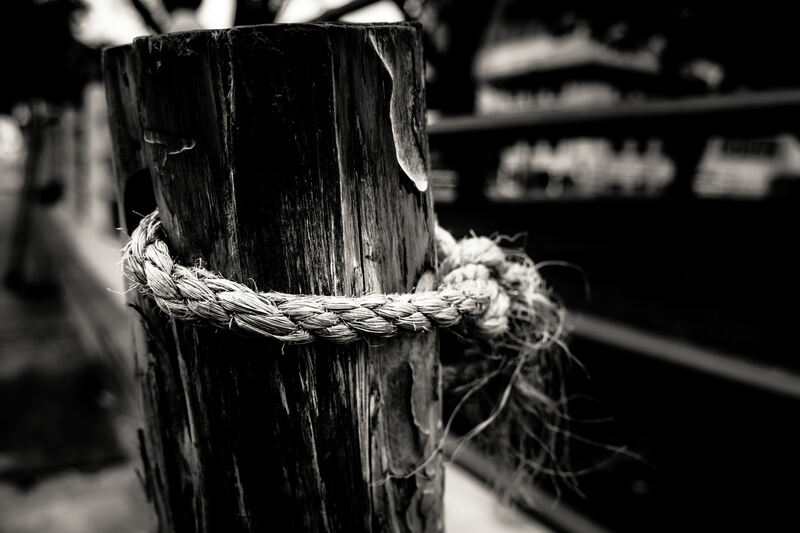 A rough rope tied around a wooden post to make a temporary fence at the Fort Worth Stockyards. 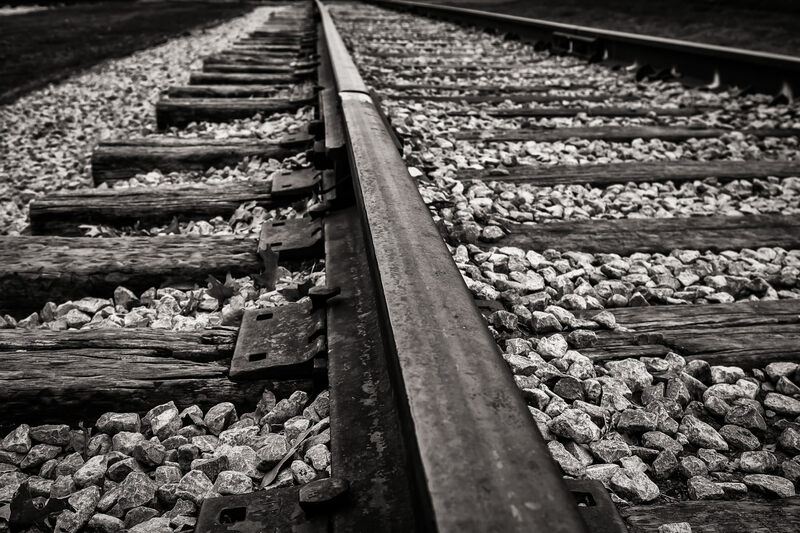 Railroad tracks lead into the distance in Fort Worth, Texas’ historic Stockyards district. 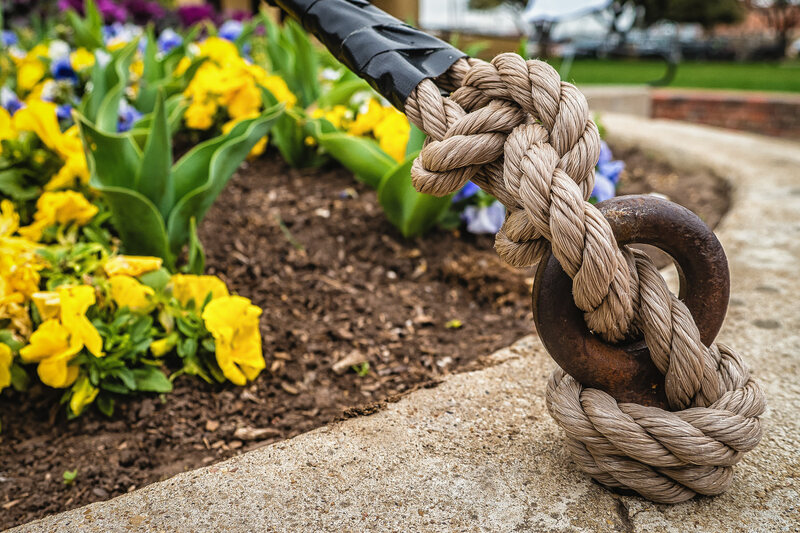 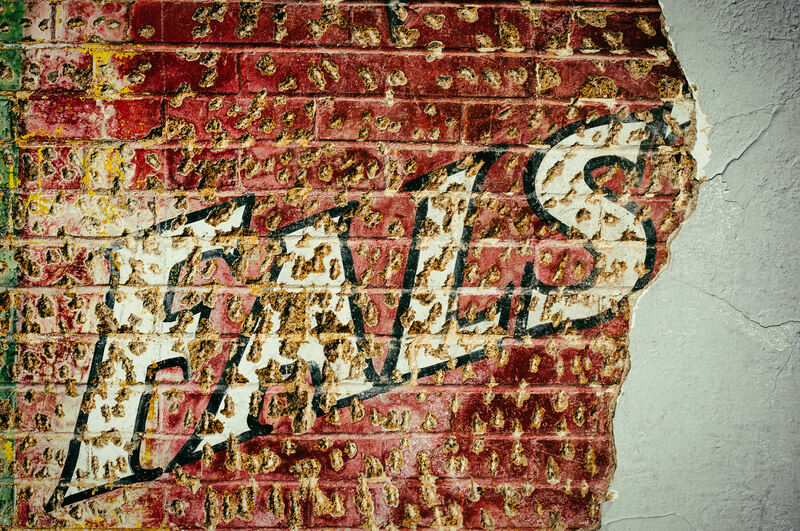 A knot tied in a rope holding down a large banner, found at the Fort Worth Stockyards. 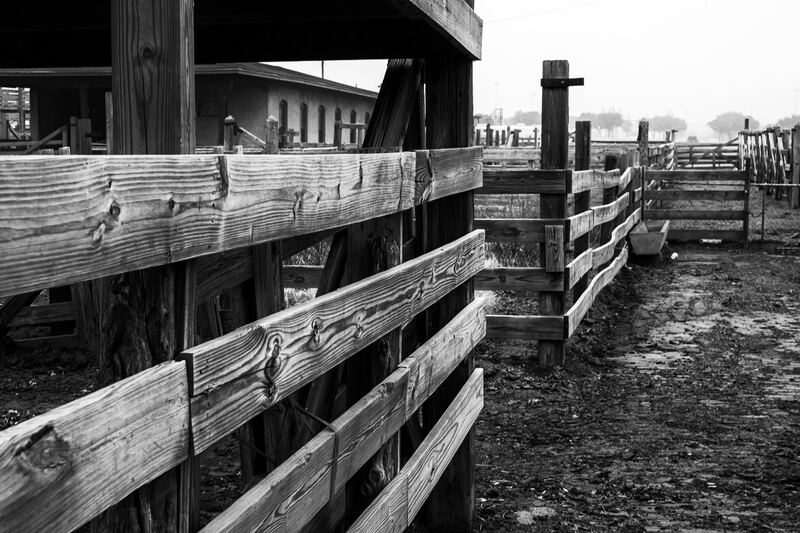 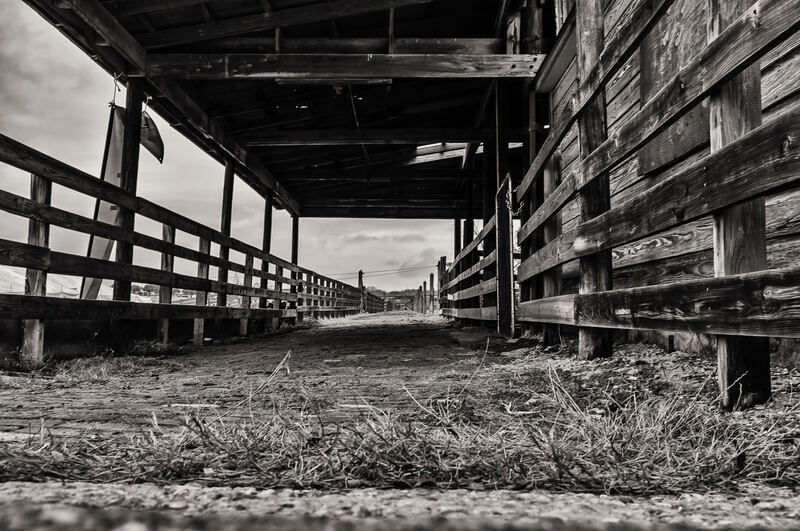 Wooden fences on old cattle pens at Fort Worth, Texas’ historic Stockyards. 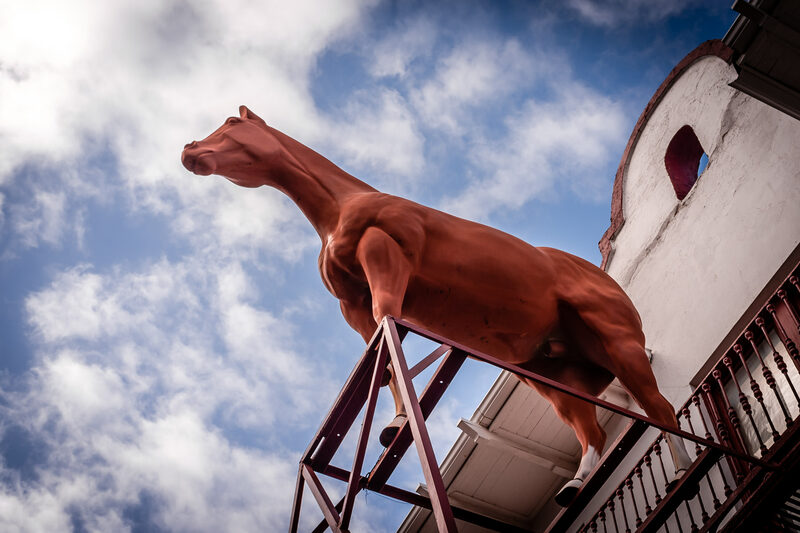 A giant fiberglass horse atop a building in Fort Worth, Texas’ Historic Stockyards. 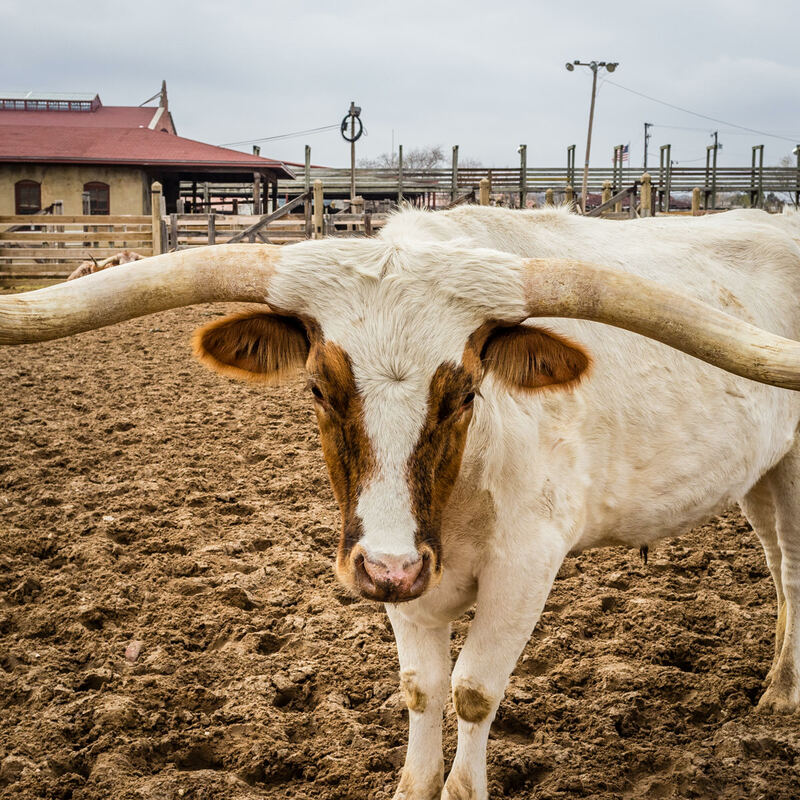 A longhorn steer investigates me as I take his photo at the Fort Worth Stockyards. 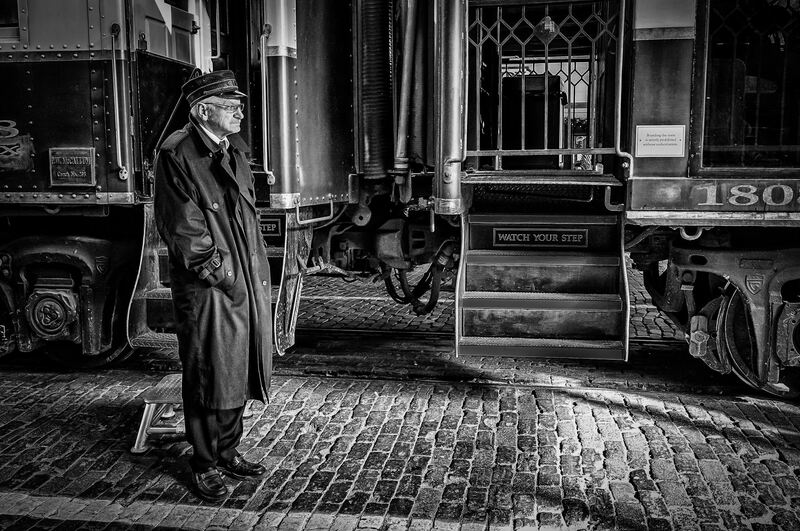 A conductor for the Grapevine Vintage Railroad, spotted at Fort Worth, Texas’ Stockyards Station.